I have a really great competition prize for you, Personal Planner UK have kindly offered a planner for one of my readers to win. The website is easy to use and allows you to customise your own planner (4 sizes to choose from). 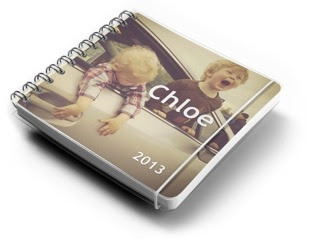 You can do things like adding your own photos to the front and back cover, select what month you'd like to start from, including personalised dates, choosing if you want your pages ruled or not, add modules like to do lists at the bottom of the pages and pick extras such as maps or colouring in pages. "Personal Planner gives you the flexibility to design a unique planner to your own taste, design and style. 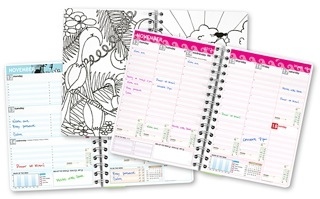 Whatever you want - Make it personal with Personal Planner UK." And leave me a comment below letting me know you've liked them and a way to contact you if you are the winner. Winner will be chosen using random.org after the competition closes on Monday 11th Feb at 12noon. Prize will be sent directly from Personal Planner. ooo how wonderful! I'd love this, I've not bought one yet and I still prefer to write things down rather than put on my phone. ops forgot to add contact @MsXpat on Twitter. Nice competition. I've liked them on my personal FB page (Emily Higgins) you can contact me on Twitter @twinmumanddad or email twinmumanddad@virginmedia.com Thank you! yey I love these planners. I've liked. Been spending all day designing my own planner. Please get in touch with your details.